What kinds of foods are your comfort foods? For me it almost always involves pasta and some form of cheese. Even when it’s Spaghetti and meatballs, you gotta top that with lots of parmesan cheese. Am I right? I recently went to a new restaurant with this amazing parmesan cheese macaroni and cheese. It was so good that I knew I had to make it. The best part about this Parmesan Mac-n-Cheese recipe? Ok, there are actually 2 best things. One is that my kids loved it and ate it without complaining. The other is that it was only takes 30 minutes from start to finish! Which makes it totally eligible for a stellar side dish but also could stand all on it’s own. 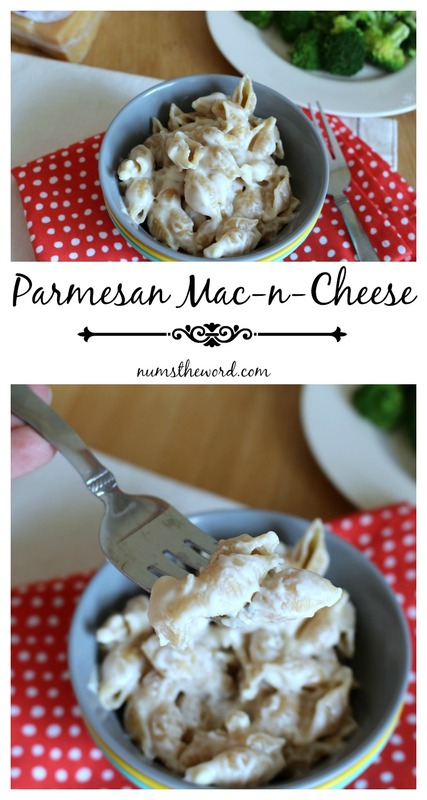 Enjoy this with your family as a simple weeknight meal everyone will love! In medium saucepan, melt butter over medium heat. Add flour and stir and cook 2 minutes. Whisk in the milk, 1/2 cup at a time. Then season with salt, pepper and nutmeg. Cook, stirring constantly for 4 to 6 minutes. Remove from heat and whisk in the cheese until melted. Add cooked and drained noodles and stir until combined. Serve immediately. 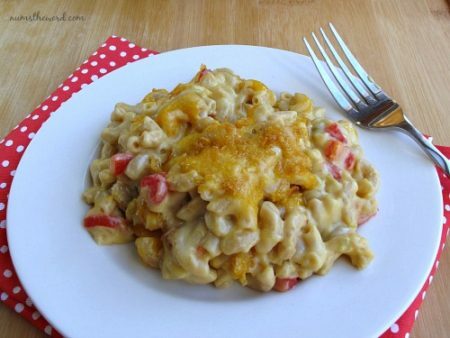 This restaurant-inspired recipe for a kicked up macaroni and cheese is so super delicious. 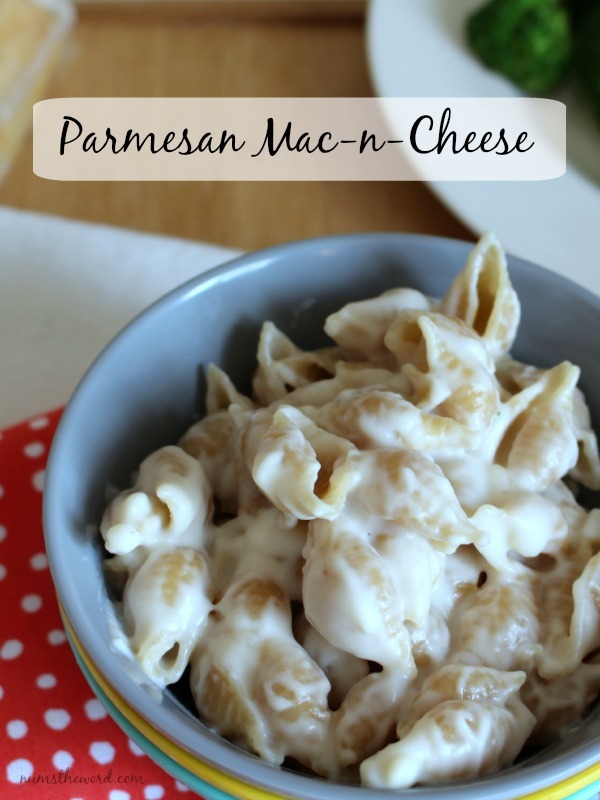 It’s very cheesy and great for dinner or as a side dish. 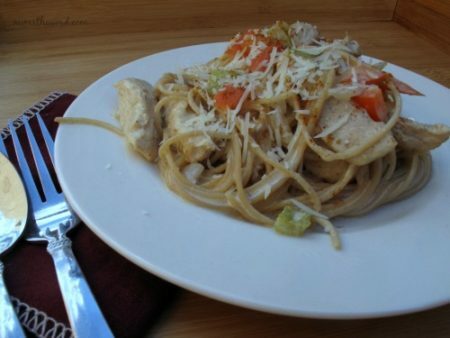 This lightened up version of cajun chicken pasta is one of our favorite fast weeknight meals. Full of veggies, chicken, whole wheat pasta and still has tons of flavor! 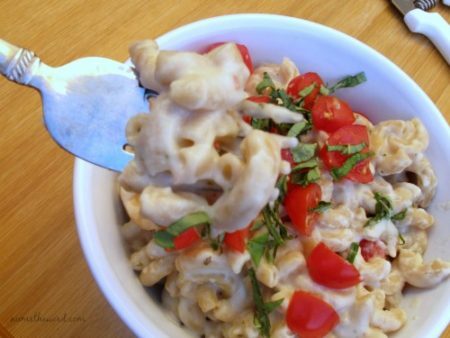 This macaroni and cheese is not only super cheesy, but has all the flavors of bruschetta – yummy! A definite win with all of the family and it only takes 30 minutes to put together! Flour is listed twice, I think the one listed as 2 cups should be milk. Mike, you are so right! That’s what happens when you type while exhausted. I’ve fixed the recipe so it should be right now! Yeah! HI just found you. So much to choose from….so little time!